Remove the water inlet. Refer to Water Inlet Replacement. Remove the heater outlet hose. Refer to Heater Outlet Hose Replacement. 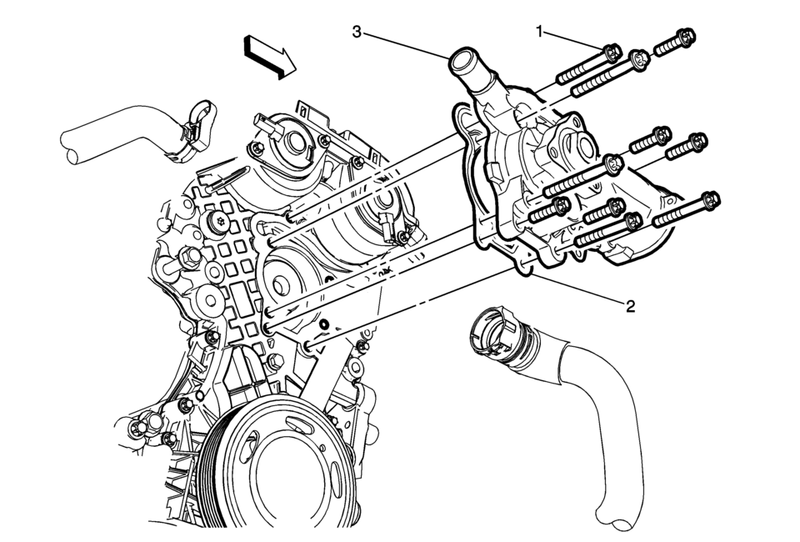 Replace the water pump gasket with a NEW gasket. Remember the location of the short and long bolts when removing.